I’ve been itching to try out the latest trend in machine quilting on a longarm and that’s using a ruler to make designs. You can do this on a regular sewing machine too. The concept is to run the foot of the machine along the edge of the ruler and you always have to take into account for the 1/4″ of the diameter of the hopping foot while doing this. I plan on doing ruler work on my BIL Marc’s t-shirt quilt in the sashing but my skills aren’t there yet so I figured I’d give it a try on a panel. Cute bunnies! Happy Easter! 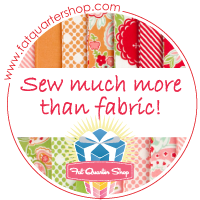 There are several challenges I have when deciding on what to do on a quilt. 1. I have absolutely no idea what design to choose. 2. I usually decide on something WAY over my skillset and screw it up. 3. I don’t get the math right to make the design equal and balanced. To fix #1 & 2, I decided to keep it really simple for my first go and settled on a single crisscross stitch. I had ideas of making it more complex right out of the gate but forced myself to KISS it. (Keep it simple stupid). Believe me, it was a challenge! As far as #3, last summer I saw a YouTube video where this lady used a strip of paper the length of the quilting area and she folded it into equal parts to create measuring guides. It’s an incredibly simple technique that up until then had escaped me. I accounted for the 1/4″ SA on the binding and knew I wanted the X’s to start at the outer corner of the inner blue border. So those points are #1. I used the ruler to STID around the outside of the blue border and you can see where it got away from me a bit because there’s a wobble up into the green about an inch to the left of the corner. Focus! I probably won’t pick that out. I’m going to leave it so I can look back one day and see how far I’ve come. I marked all the points top and bottom, and then created the X’s with a blue marking pen. The #1’s are the outer corners at the blue border, #2 is the center fold, #3’s are the inner folds. My ruler has a little 1/4″ toe that you’re supposed to place at the point where you want to land. Once I got the hang of this, it was pretty fun! If I’d thought about it, (and I did initially and then got caught up in finding a backing and subsequently forgot…SQUIRREL! ), I’d of loaded the panel sideways to get fewer passes out of it. I still may unload/re-load…we’ll see. My total quilting space with the ruler table attached is about 14″. I need to remove the markings a bit more, but here’s the final outcome of a simple crisscross design in the upper border. I’m thinking about doing some echo lines and will probably do that before I roll it up to do the sides. I’m so glad I kept it simple so I could have success on my initial attempt at ruler work. I plan on using the computer to quilt the interior of the panel. Lots of fun!